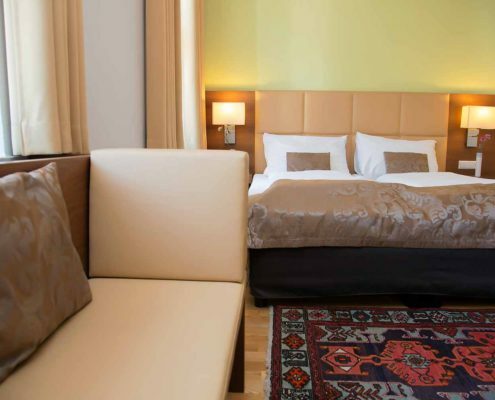 Whether you travel alone, with your partner, or with the whole family, the Hotel Jedermann has the perfect holiday-offer for you. 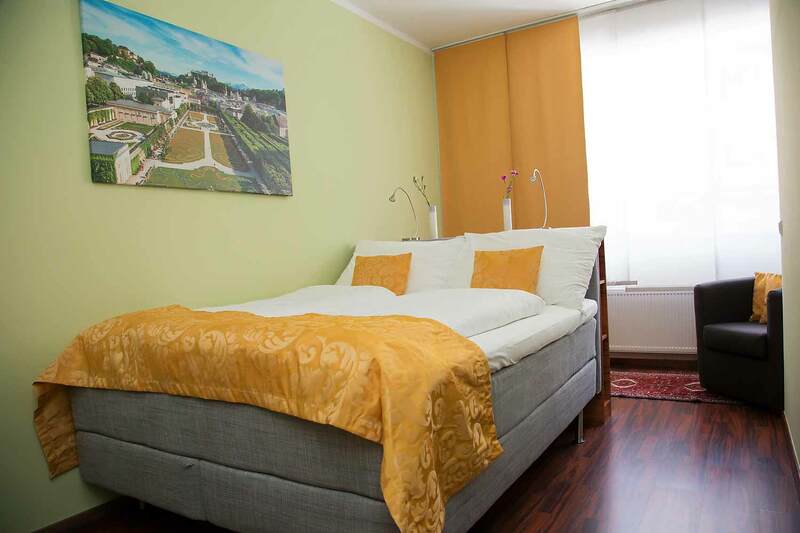 Your stay in Salzburg will be a lovely experience. 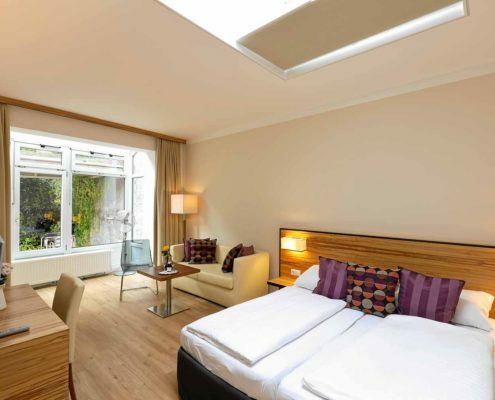 Staying in the Hotel Jedermann, you have the ideal starting point for all your sightseeing or business destinations. 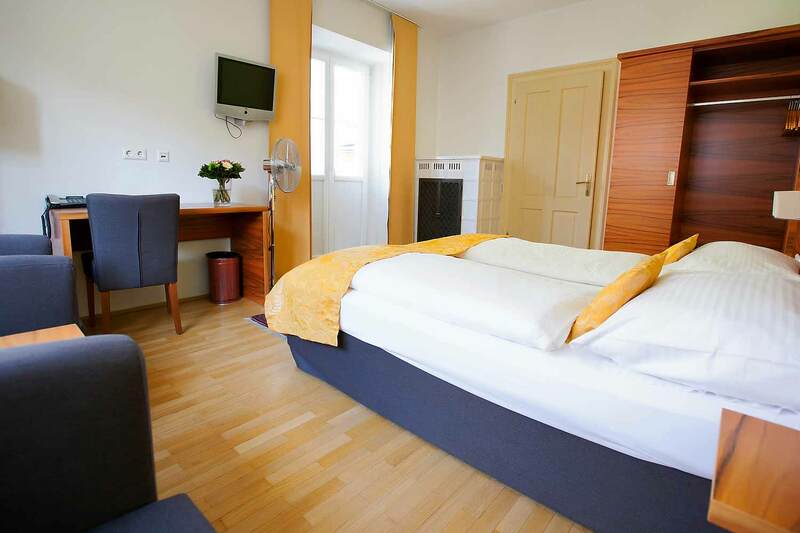 The rooms offer modern conveniences and many pleasant features. 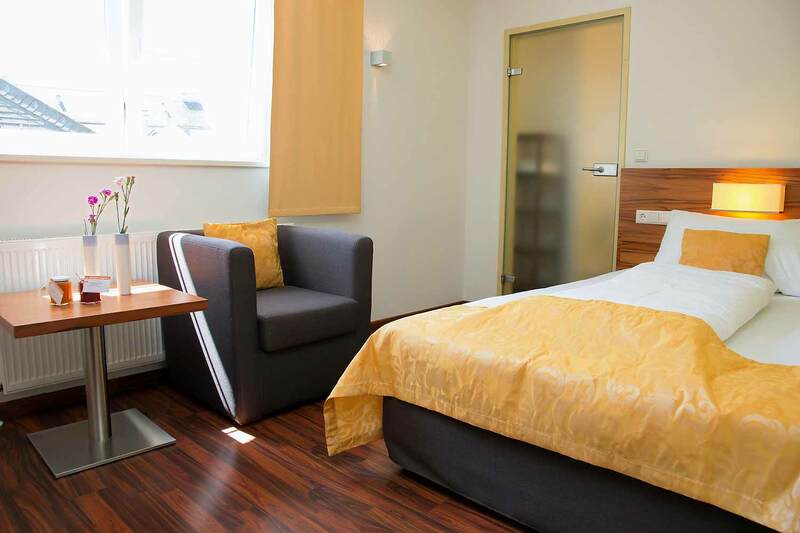 The new design rooms are additionally at your disposal. 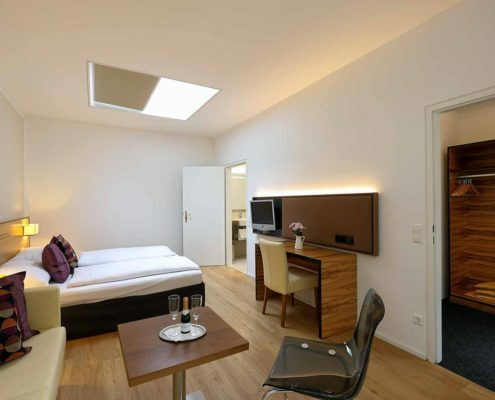 Here, a modern interior and elegant furniture await you. 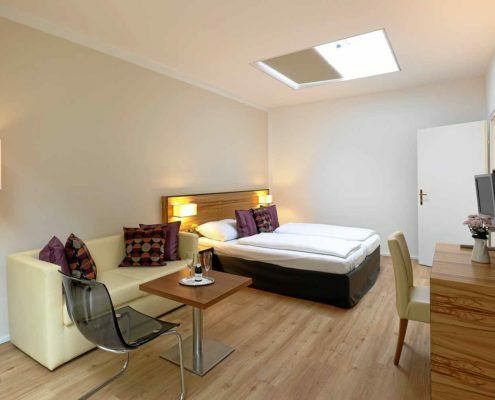 In this non-smoker hotel in Salzburg you will enjoy a pleasant peace and quiet: you will not meet big groups. 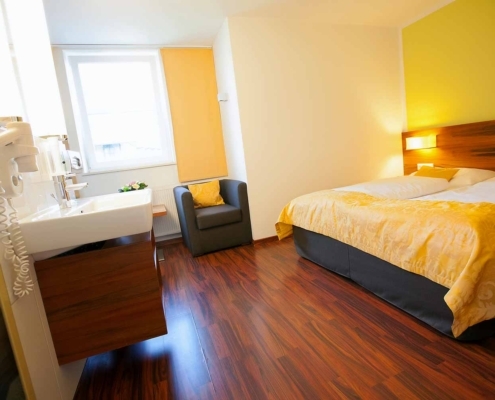 The apartment rooms are ideal for your holiday with your family. 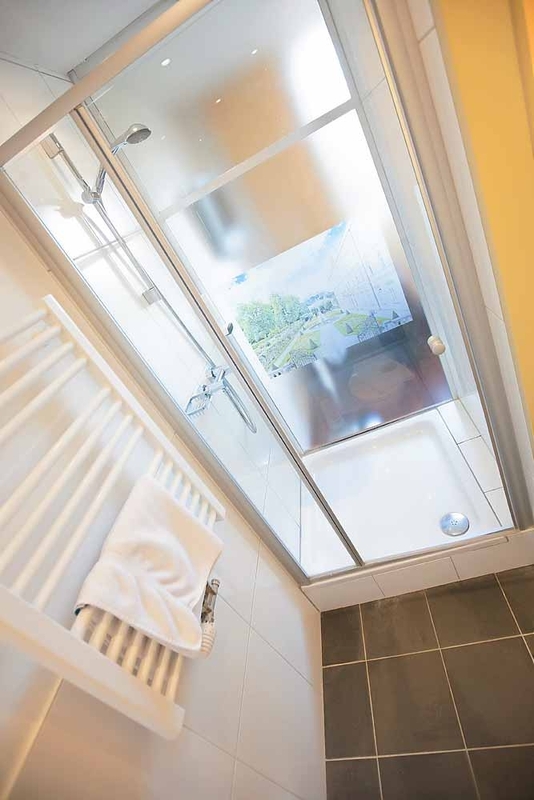 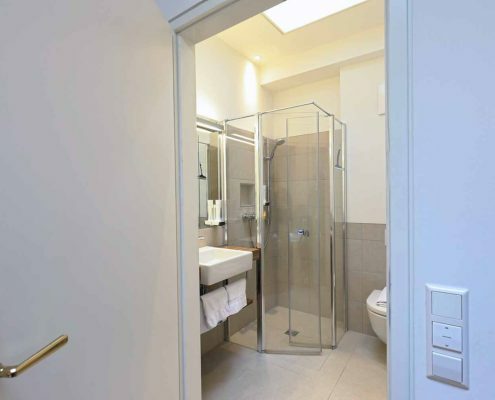 They consist of 2 separate bedrooms and a bathroom on a space of 30 square meters. 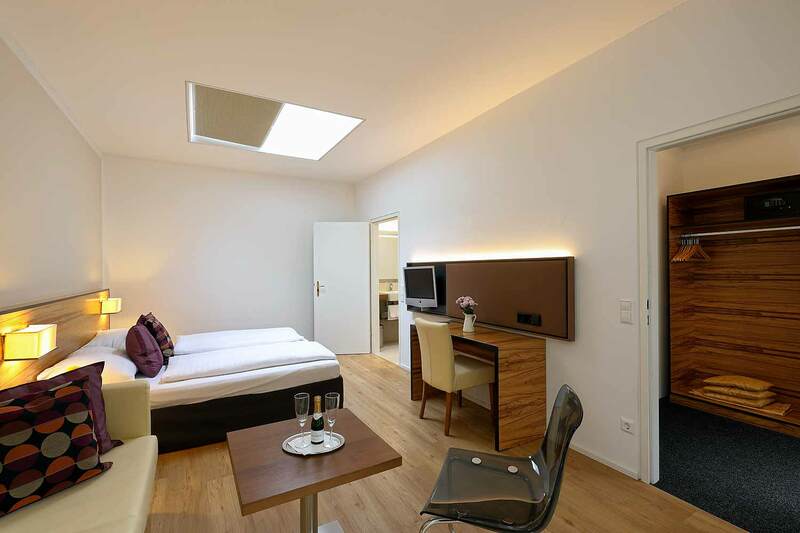 Additionally, some apartments have a small garden. 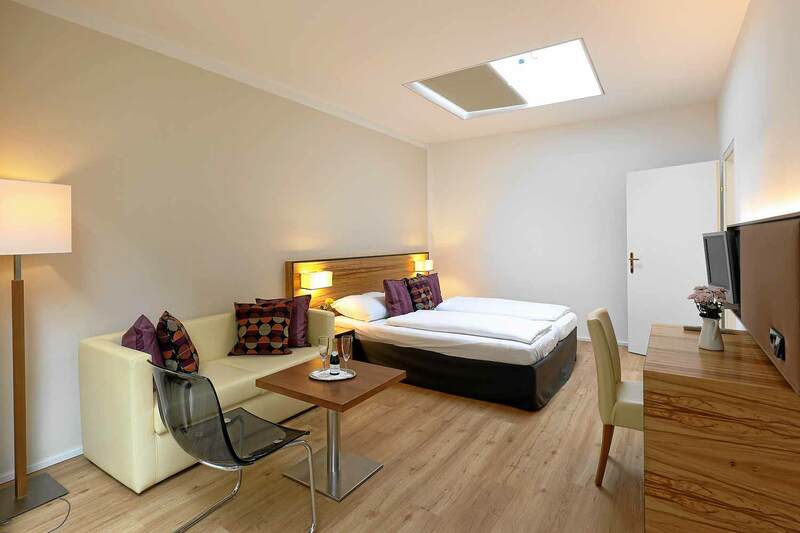 In the rooms you find WLAN, modern flat-screens and room safes in the size of a laptop. 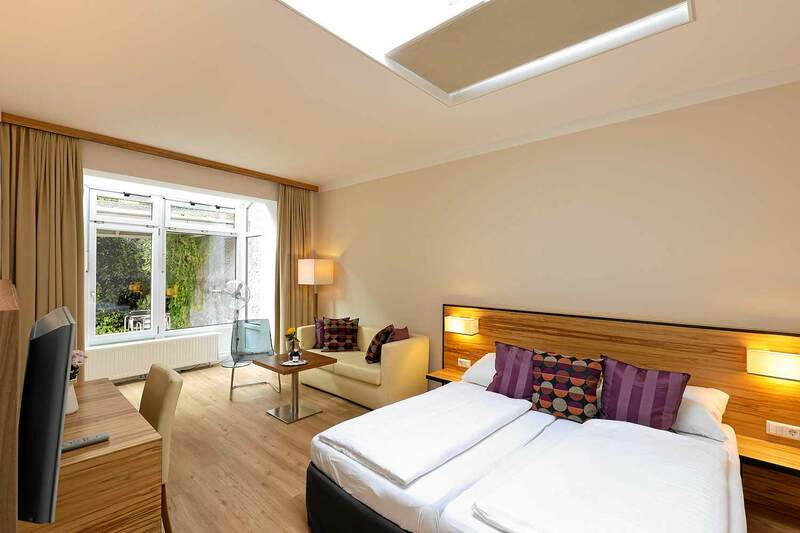 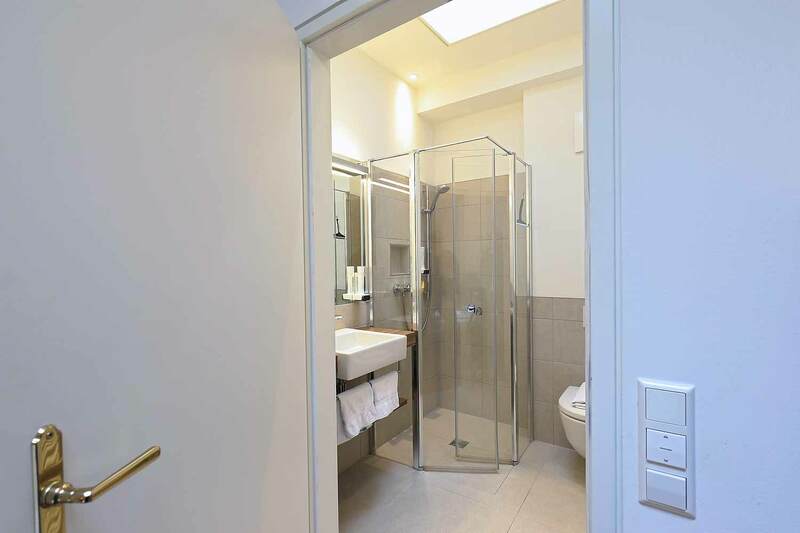 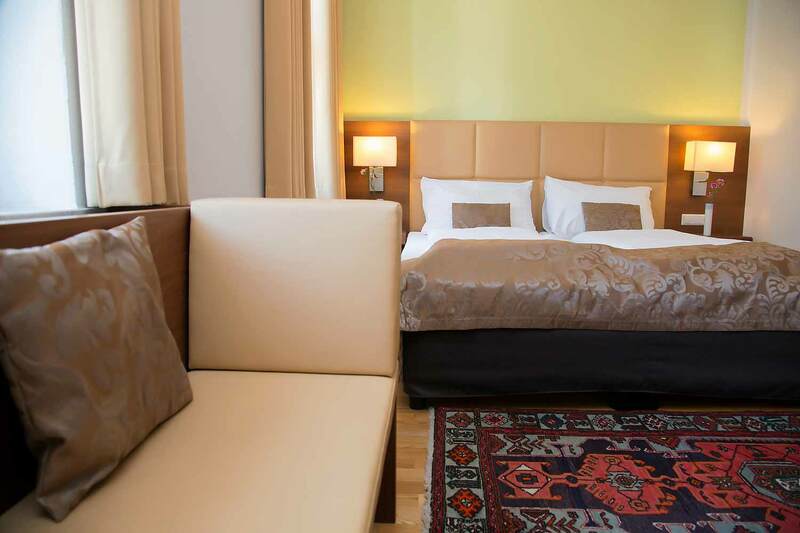 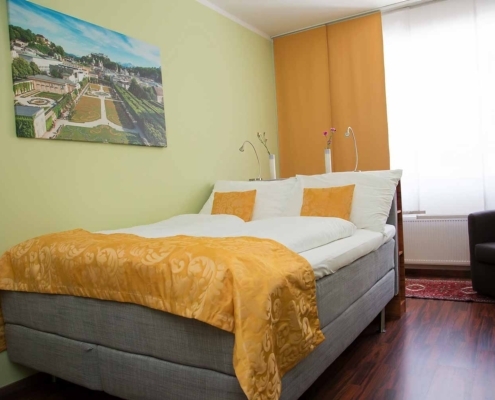 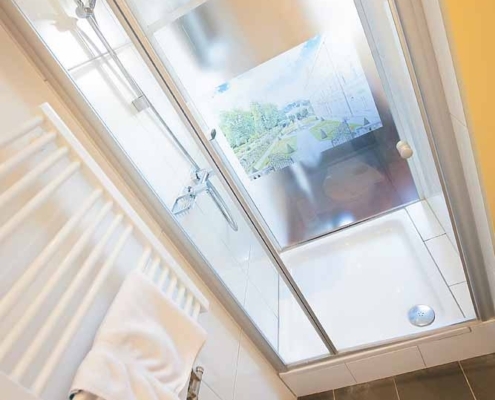 The City Hotel Jedermann in Salzburg is your first choice for a holiday in Salzburg. 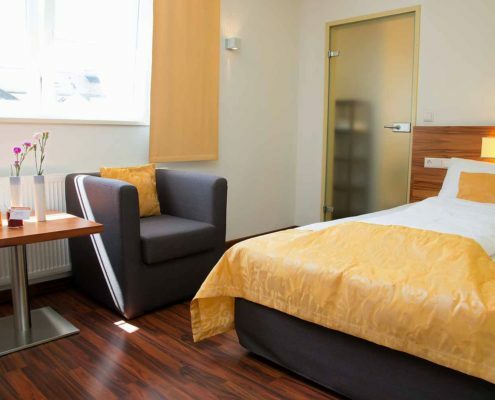 The team of the friendly non-smoker hotel is looking forward to receiving your room inquiry, without obligation for you. 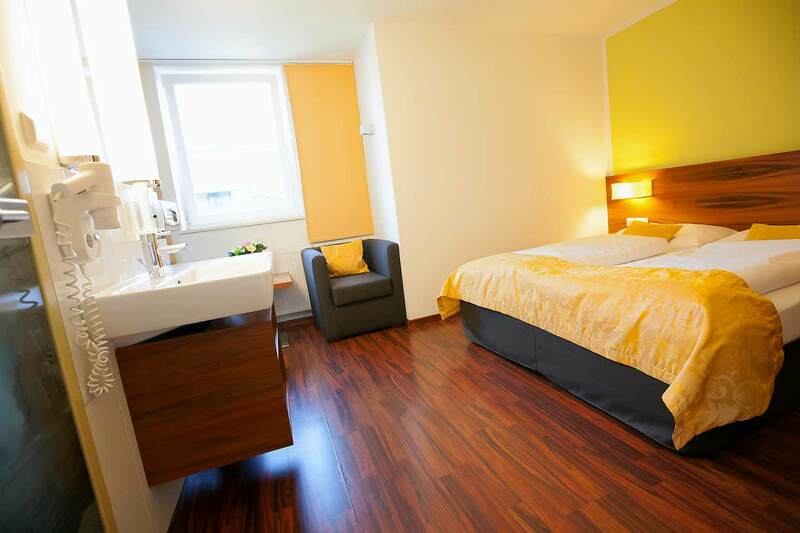 Check in: 24 hours, at night with key box.